How do you save an ancient Kauri in Titirangi? 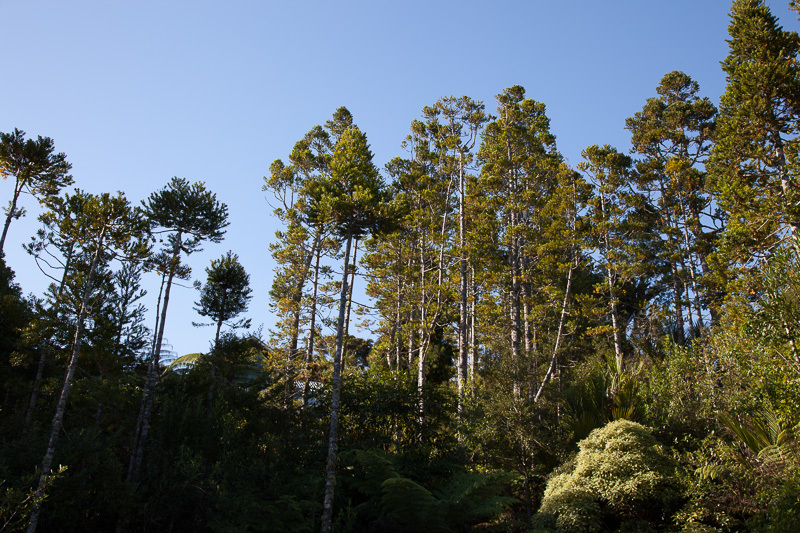 Home / Environment / How do you save an ancient Kauri in Titirangi? The Paturoa Kauri and Rimu are safe for now. But the question is how can they and their fellow notable trees be protected? Auckland Council has taken the position that the decisions stand and representatives have said on different occasions it has no power to review the decision. While this is true Council does have the power to review the conditions of the consent if the application contains information which is inaccurate and materially influences the decision using this power. Council decided to review the matter by considering aspects of the process. It seems to me that the right questions were not asked and concentrating on legal changes required may miss the analysis of the quality of processing of these particular consents. The specific wording of the resolution states that the review has “the specific and sole purpose of identifying matters that could be improved in future council processes and to be included in Auckland Council’s submissions to central government on its current review of the Resource Management Act 1991”. I cannot see the review covering as many areas as some of us would wish. The review has been completed (see page 43 of this report) and essentially recommends only modest changes to processes mainly relating to local boards. There is an associated report which goes into a great amount of detail, much of which I am still absorbing. There have been issues raised about the granting of the consents that allowed the trees to be felled. For instance why the applications were not notified so that neighbours could have a say. After all the environmental effect of felling a 500 year old Kauri and a 300 year old Rimu must be more than minor and it is hard to understand how the requirement to at least give limited notification was not triggered. And the siting of the building platform so that the Kauri had to be felled despite an obligation to avoid high quality vegetation deserves further attention. I believe the most important decision was to allow so much of the sections to be cleared. The Unitary Plan allows for clearance of no more than 300 square metres of land for a building platform. The assessment criteria “require[s] vegetation clearance to be carried out in a way that avoids high quality vegetation and locates in lower quality vegetation. Having regard to the reasons for which the vegetation is protected, clearing should take place in areas which avoid vegetation on the site which may have greater significance than other vegetation”. The proposed clearance for 40 Paturoa Road is 280 square metres, including area in the road reserve. The proposed clearance for 42 Paturoa Road is 293 square metres, also including area in the road reserve. By pushing back on the proposal to clear and requiring a house with a smaller footprint to be built the Kauri could have been saved. The permitted area is a maximum and clearly there is discretion to allow less clearance to occur. After construction trees in the area will enjoy greater protection. The area is subject to a significant ecological area overlay which provides a measure of protection even though the blanket tree protection rules no longer have any force once the house has been constructed. But until construction has been completed there is always the prospect of general carnage occurring as people create a building platform. The other means of protecting magnificent trees on vacant sections is to specify them as notable trees in the District Plan. There are two problems with this however. In Titirangi there are very few notable trees in their own right as most of them form part of a forest. Even though I had walked past it many times I had never seen the Kauri in question before because it was hidden in the forest. The second problem is logistical. A fairly recent scheduling exercise, plan change 41, had protected 188 trees but only after 4 days of hearing, and the hearing and reading of 94 submissions as well as the arboreal examination of each of the trees. My very rough estimate is that there are approximately 1,500 affected sections in Titirangi and Laingholm, and that the average number of trees per section is 100. To protect each tree would require 150,000 arboreal examinations and on a pro rata basis 3,000 hearing days. There has to be a better way to protect Titirangi’s trees. Whatever the situation the basic problem is that an ancient Kauri aged between 200 and 500 years and a Rimu aged 300 years should not be felled. Current protective measures are clearly unfit for purpose. There has to be a better way. Despite the recent review Auckland Council has to work out how to provide meaningful protection so that trees like these are safe. The current review is a missed opportunity. Good points, especially about the difficulty of listing individual trees because they’re in a forest. It’s ridiculous that people would have to wander around forests looking for trees that hadn’t been listed (among those that had) and then make a submission for them. This way of protecting trees has been dreamed up by someone who doesn’t care about them and just wants to make life easy for developers.